TRON (TRX) operates on its own blockchain. The total supply of TRON that will ever be issued is 99.28 Billion coins, and the current supply of TRX in circulation is 66.68 Billion coins. Current TRON price is $ 0.024 moved up to 1.62% for the last 24 hours. All time high (ATH) price of TRON reached $ 0.275 on 5th Jan 2018 and fallen -91.3% from it. TRON's share of the entire cryptocurrency market is 0.88% with the market capitalization of $ 1.60 Billion. 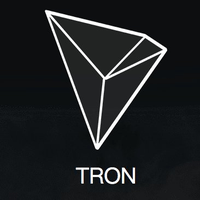 TRON’s 24 trading volume is $ 423.74 Million. It is trading on 108 markets and 41 Exchanges . Find more details about TRON cryptocurrency at the official website and on the block explorer. TRON price Index provides the latest TRX price in US Dollars, BTC and ETH using an average from the world's leading crypto exchanges. The TRON to USD chart is designed for users to instantly see the changes that occur on the market and predicts what will come next. Wavefield TRON is a blockchain-based open source decentralized content entertainment protocol. It is committed to using blockchain and distributed storage technology to build a worldwide free content entertainment system that allows each user the freedom to publish, store, own, and de-centralized digital asset distribution, circulation, trading methods to determine the distribution of content, subscription, push, enable content creators, the formation of decentralized content entertainment ecosystem.